Aquatic Animal Husbandry, Exotic Animal Training, Captive Shark and Manta Ray Management, Horticulture for Zookeepers, Life Support System Design, Scientific Diving, Zoo Exhibit Design. These are just a few of the classes that students enrolled in a variety of two-year programs that prepare students for careers in facilities for wild and exotic animals. Last week I wrote about four-year programs in Zoology and Zoo Management, and this week I will highlight five programs that grant an Associate’s degree or certificates from accredited community colleges in the US. Most of the programs are highly competitive and require science and math prerequisites before applying into the program; many accept students into the programs on a point system that recognizes high school GPA, grades in college-level prerequisite course work, related work and/or volunteer service and military service. · The Aquarium Science Program at Oregon Coast CC prepares students to work in the aquatic animal husbandry profession by providing hands-on training in a new state-of-the-art Aquarium Science Facility and the Hatfield Marine Science Center. · By the numbers: 22 spots are available each year for incoming students in Aquarium Science. · The Associate of Applied Sciences degree in Biology and Management of Zoo Animals is offered in partnership with the Oregon Zoo and includes additional experience at many other unique facilities in Oregon. · By the numbers: a student cohort in Biology and Management of Zoo Animals begins each fall with 24 students.The admissions process is competitive and based on a point system including an interview process for those with initial high scores. Applicants with the highest totals will be accepted. 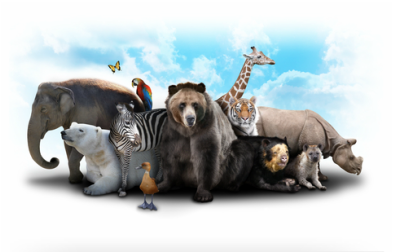 · America’s Teaching Zoo was created in 1974 at Moorpark College and continues to be a highly sought-after training program for students interested in wildlife and exotic animal management. · By the numbers: 50 students per year are chosen from about 150 applicants. Students may apply only between December 1 and January 31 each year and all students begin in a fall cohort. · Three ten-week internships at the Cheyenne Mountain Zoo (or another approved facility) are required to complete the program. · By the numbers: Pikes Peak Community College participates in the Western Undergraduate Exchange, offering a significant tuition reduction for out-of-state residents of fifteen western states. · The Zoo Animal Technology Program has its own Teaching Zoo in order to educate and give students practical experience in animal care, conservation, and all of the responsibilities associated with a working zoological facility. · Santa Fe Zoo Animal Technology Program has cooperative agreements with Friends University (KS) and University of West Florida so that students who successfully complete their Associates Degree at SFC may matriculate and work toward their Bachelors degree. · By the numbers: A Selection Criteria/ Points System is in place to determine which applicants are invited into the program. Other two-year programs that offer animal/zoo/management programs are Niagara County Community College, NY (Animal Management), Jefferson Community College, NY (Zoo Technology), Cosumnes River College, CA (Equine Science), College of the Sequoias, CA (Animal Science Tech), Santa Barbara City College, CA (Marine Diving Technology), Florida Keys Community College (Diving Business Management and Technology), Saddleback College, CA (Aquarium and Aquaculture Science). A more complete list of two-year programs is maintained by the Zoological Association of America.